Emergency Dentistry Winthrop | (617) 329-5581 | Brooks Dental, P.C. At Brooks Dental, we believe in being there for our patients when they need us most. That’s why we always encourage you and your family to contact us in Winthrop, MA immediately if someone has experienced a severe oral injury and/or significant pain. Our team of skilled dentists strives to accommodate dental emergencies on the same day whenever possible, providing relief and customized treatment solutions that will help you regain a complete, discomfort-free smile as soon as possible. Why Choose Brooks Dental for Emergency Dentistry? Physical dental injuries can happen on the football field, in car accidents, or even while walking down a flight of stairs. When this frightening situation befalls you or a loved one, it’s important to not panic. Instead, pick up the phone right away and contact Brooks Dental for assistance. We can help you overcome broken/fractured teeth, partially dislodged teeth, and even fully knocked-out teeth with dedicated restorative solutions. If the tooth has been knocked out, try placing it gently back into its original socket and holding it there. If this isn’t possible, carrying it in a container of milk to the practice is recommended. If good brushing and flossing habits aren’t maintained on a day-to-day basis and existing cavities propagate, patients may start to develop serious oral infections that lead to noticeable dental pain (otherwise known as “toothaches”). Of course, this type of discomfort may also be caused by a piece of food or foreign debris that’s stuck between the teeth – in order to rule out this possibility, we recommend flossing and rinsing the mouth first. Otherwise, please don’t hesitate to contact our office for further assistance. 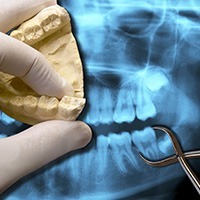 We may need to perform root canal therapy to remove infected tissue from within the tooth and stabilize its structure. Alternatively, if the infection is already too severe, our only option for relief may be to extract the natural tooth and replace it with a functional and attractive restoration. At Brooks Dental, we are proud to provide dedicated emergency services for both new and reoccurring patients here in the greater Winthrop area. 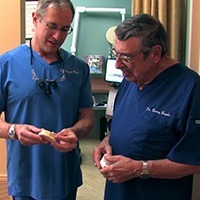 Our practice has been in business since 1959, and with three generations of the same family serving as your dentists (as well as two talented specialists), our experience and scope of clinical skill are clearly unmatched. Better yet, we utilize the latest in digital and diagnostic technology to deliver superior results and offer same-day appointments whenever possible, helping families receive the smile-saving treatment they need with minimal waiting. If you’re experiencing a great deal of pain and/or sensitivity in a specific tooth, there may be an advanced infection present near the nerve of your tooth. In this case, our dentists are very likely to recommend root canal therapy as the best way to eliminate pain and save yourself the trouble of a missing tooth. Using special tools, we will access the tooth’s inner “pulp” and remove it from the canals, thereafter filling the canals with a safe, biocompatible substitute. Countless teeth treated with root canal therapy go on to last for many more years – this procedure has a success rate of over 95%! 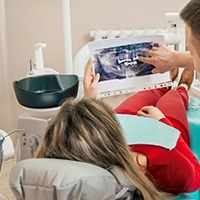 Despite our dentists’ best efforts to prevent this outcome here in Winthrop, tooth extraction may still become a necessity for patients who are experiencing traumatic dental injuries or advanced infections. Additionally, we may need to remove one or more teeth to make way for important orthodontic treatment or if a young patient’s “baby” tooth isn’t falling out quickly enough to make room for the adult teeth. We will prioritize your comfort at every stage of this treatment process and start working on the proper tooth replacement solution (if needed) without delay.